Roberts Duologic review | What Hi-Fi? The Roberts Duologic could hardly be more different from its Ecologic 4 sibling. A simpler (and, ultimately, more user-friendly) interface is one thing, and the appealing sleekness of the design is another. But the sound it makes is something else altogether. Composed and organised, it creates real punch and solidity, with decent dynamics. 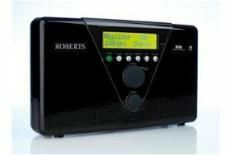 Only superior midrange detail gives the Pure One Elite the edge: this is a likeable and very listenable radio.